Howdy friends! 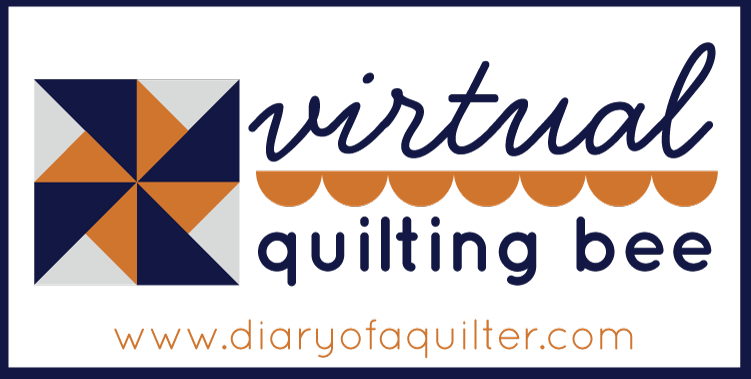 Today I’d like to announce and invite you to a new Virtual Quilting Bee. I was so glad for the feed back that was given on this post. A few of the common requests were handy tips and techniques for quilters as well as the idea of a quilt-a-long. 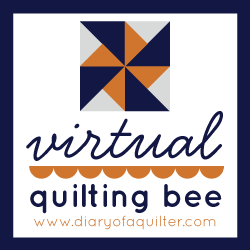 So I decided to combine a bunch of those into one handy event, and voila, a Virtual Quilting Bee was born. Let me explain a little bit of how this will work. For the next three Fridays I’ll be talking about supplies, quilting basics, and choosing fabrics/colors. We’re going to make a quilt similar in layout to the sampler quilt I made in 2012 (see above). This quilt will have a whole new selection of blocks designed and taught by 16 talented and creative bloggers. There will be a new block tutorial every other Friday through the next 8 months. And when the blocks are completed we will talk about assembling the blocks, adding borders, and then quilting and finishing the quilt. So the project will be in little bits and pieces staggered throughout the whole year. as well as a Modern/Contemporary version using Kona Solids sponsored by Robert Kaufman (thank you RK!) I’m so excited to see how this color experiment works out! If it means waiting with baited breath for the next block and sewing it up that afternoon, awesome! If it means just following along to learn a new trick, or block, or technique to use in your current projects, great! If it means just tuning in for the pretty pictures of fabric or pinning it for future reference when the kids start preschool, that’s super too! I love the best aspects of this virtual online quilting community, which means supporting each other at our own pace and preference. I’m just so glad to know you’re all out there and for the support you give to me and to each other. Finally, this is my first time ever doing something like this. I’d LOVE your feed back. Do you want incentives and prizes or are you just interested in content? Are there specific topics you would like covered? What would you like this to be? Feel free to share, and if it works within the scope of what we’re trying to do, we’ll add it in! Tune in next Friday for our part one of this virtual quilting bee! I am a sucker for quilt alongs. This looks like a fun one. I like that you will have different bloggers contribute their blocks. Prizes/incentives are always nice! I LOVE this! I would totally appreciate a BOM/W of some traditional quilt patterns. Particularly no fabric waste ways to do hst. And who doesn&#39;t love fabric prizes! Thanks so much for doing this! What a fabulous idea. I love the idea of showing the quilt in two different fabric styles..Traditional and modern..that alone can give a quilt a whole different look. I would love to follow along with your quilting bee and I have already &quot;pinned&quot; it to my BOM and QAL board. I&#39;m not so big on prizes and giveaways but appreciate the content and helpful tips and tricks. Ooo, Julie, I&#39;m going to search for your QAL board on Pinterest! Sew excited!!! My vote is for great content! Forget the prizes and incentives. This awesome quilt is incentive enough for me. Thank you! Good for you, taking on a new endeavor. I&#39;m most interested in content. I love learning. This sounds like a fun series! I guess giveaways/prizes/incentives are always nice, but for me personally, I am more interested in the content as I am just starting to try my hand at quilting. I&#39;ve sewn for years, but never tried to make a quilt until recently. I vote for a fantastic content and love the idea of traditional and modern quilts. This sounds fun. 🙂 I am such a beginner quilter that any and all detailed explanation will be appreciated. I hope I can follow along and keep up with this. Love this idea! I&#39;ve got a lot on my plate already, but I&#39;d love to see how much I can jump in. Tips and tricks are great, since I still fell like a beginner! Let&#39;s be honest, who wouldn&#39;t want incentives or prizes?! Heehee.<br /><br />Are you going to do a linky party for us to share the blocks &amp; give eachother moral support? I love this! Online quilt alongs are so fun. I never win prizes though so I could take or leave that part. I just like the support and excitment of a quilt along. I tend to get sucked into QAL&#39;s and then give up mid-quilt. But this seems about my pace. A block every couple weeks, which will be perfect for a small breather in between other projects. Great idea! If only I could get my hands on some Happy Go Lucky, life would be complete! Yeah!! Finally a doable quilting bee!! I am in and so very excited. I am all about the content and could care less about giveaways and incentives. They are everywhere with the disclaimer that you have to &quot;like&quot; this fb post and then such and such a blog and then jump here and there blah blah. Just give me the content already and let&#39;s learn something new!! Yay!! This should work out nicely for the quilt I promised my nephew for Christmas. Im SUPER excited about this. Im going to make my first ever quilt during this 🙂 thank you thank you!!!! I am new to quilting still and keep reading about QAL and Bees but have never considered doing one. This I am…I love that quilt and before even reading the post I thought to myself that I would love to have one like it. Sounds like fun. Your quilt is so cute. I&#39;m going to try to find time to join in on the Quilting Bee fun. Oh, I forgot to say, I love the idea of prizes. That really is a good motivator and it&#39;s fun to win. Sounds like fun! 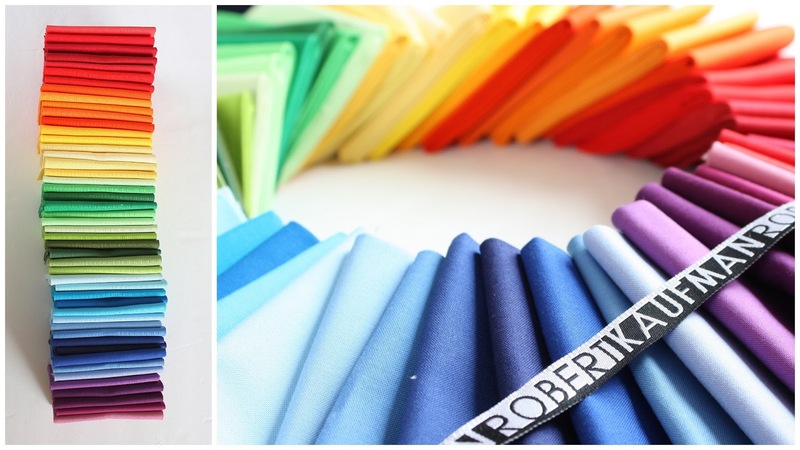 Can you give us an idea of how much fabric and the colors we&#39;ll need for the modern quilt? I am so excited to find someone doing a contemporary quilt along! Thank you so much. I&#39;m a quilting newbie — so I&#39;m hoping this won&#39;t have blocks that are too complicated 🙂 I&#39;m one of your blog admirers, so I look forward to this quilt-along! I am excited and always ready for a new project. I&#39;ve made some quilts but I&#39;m not very good at them. I&#39;d sure like to join also. I&#39;ll have one qal finished tomorrow and the other two are low stress so this will be fun. I work at a slower pace so prizes are not important to me. Thank you for the invitation. I love the idea of a flickr group or weekly linky to share pictures for inspiration. I am not a block of month person usually, but the idea of a Kona solids quilt has started to settle into my brain so, maybe I will. Can&#39;t wait for this. I am not interested in prizes, just learning. I would love a lesson on flying geese. I&#39;ve tried many methods but can&#39;t seem to find one where they accommodate for the 1/4 inch seam. I always end up cutting off the point! Any help on that would be wonderful. Yaayyyyy! I totally agree with CathyK a few posts up! I&#39;m fairly new to quilting too and would love to learn a few new things. I love your work and your blog and know I will learn lots from you and the others participating! I love how you&#39;ll let us go at our own pace- this is sooo exciting! I don&#39;t need prizes either – just learning a few things is plenty for me! Thanks, Amy! This looks like fun! I hope I can keep up 🙂 I think you should spotlight some of the QAL-ers periodically through the year. I don&#39;t often have time to troll new blogs through a linky party, so seeing everyone&#39;s different blocks on your blog would be nice.<br /><br />Also, do you need a FQ bundle, or would a fat eighth suffice? I think Fat 8th&#39;s will be plenty. Hi Amy. It sounds great. I will be the last kind of participator – the one who watches everyones progress, prints or pins the notes and will do it &quot;one day when I&#39;ve got time&quot;. I&#39;m living til 300 right? Prizes etc are lovely but I don&#39;t think always necessary. They are more of a bonus. I just like to follow along, learn new things and look at other people&#39;s pretties. This is certainly very tempting, especially the solid version but I already have so much on my list that I want to actually complete this year. I&#39;m going to think on this for a bit and see if I can&#39;t resist. I can&#39;t wait to participate! I just love quilting along each month on a new block. Their fun. Anne Sutton (Bunny Hill Designs) used to do this a few years ago. Your quilt is beautiful. Will you help us choose playful colors like that? I will definitely be following along. I&#39;m not sure if I will be sewing each block yet, but will have to see what happens. I&#39;m looking forward to your tutorials in the hopes of learning new tips and tricks.i love the colors you have picked and can&#39;t wait to see how your quilt turns out. Thanks for all of your hard work. I&#39;d love to use the same fabrics you use, will a sponsor be offering them at a special rate for those who want to participate and get supplies? Great idea!! Can&#39;t wait to get started and looking forward to a long term project!! Hi Amy<br /><br />It&#39;s will my first QAL, looking forward to participating. I just want to learn, no incentive needed. I am so excited…this will be fun and the fabrics are pretty regardless of which direction I ultimately choose. Regarding prizes/incentives – for me the prize is learning some new techniques and having the fun of being part of this virtual community. Sooooo….let&#39;s get going! This sounds great! I am trying to use the fabrics I have on hand, and this sounds like an excellent way to do it! Thanks for doing this for us! I&#39;m SO excited! I&#39;m a new quilter and love the idea of learning new blocks and techniques. Can&#39;t wait to get started! I&#39;m excited to try this! I&#39;m so excited!!!! I&#39;ve never done a quilt along before, but I liked your Farmer&#39;s Wife quilt so much, I bought the book. I love the idea of doing it in two different styles, too. As plenty of people have said before, prizes are great, but content is better! I&#39;m new to quilting, so getting tips and tricks is truly wonderful. I just can&#39;t wait to start! I think this is a great idea and I&#39;m in. After reading this on Friday it has been popping up in my head all weekend. I am very new to quilting. Doing my first very simple just squares one right now. I keep referencing your beginning quilting series. It has been super helpful. Thank you so much for taking the time to do that. I am so excited about this. I am going to do it with you. I am more concerned about content than prizes. I&#39;m a sucker for BOM&#39;s and Quilt-alongs, which has ended up in a stack of project boxes still on the go! But I&#39;m in anyway, every other week will give me an incentive to finish something else before I can open the latest post! Prizes are good, but not necessary. Oooh…I love Happy Go Lucky, and can&#39;t wait for it to come out! I&#39;m in! This is such a great idea! I love the Go Lucky and I&#39;m in for sure! 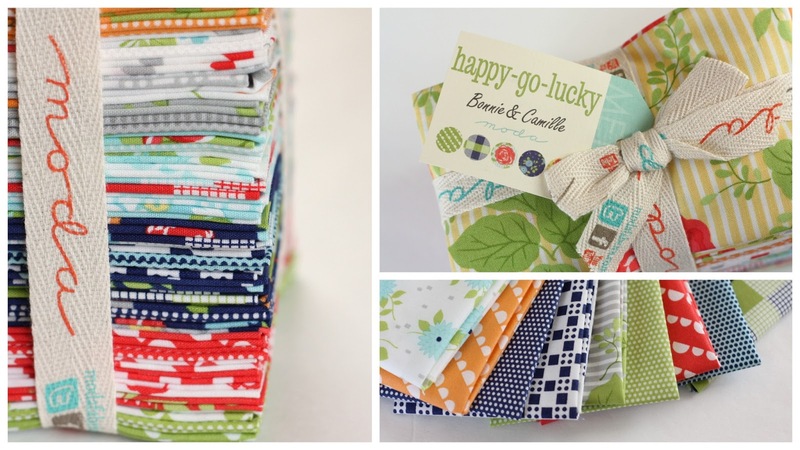 Hi Amy, I just checked on Fat Quarter fabrics and the Happy Go Lucky won&#39;t be available until May. Will it be available somewhere else earlier than that? Yay! So excited to learn from you! I admire your quilts and can&#39;t wait! I always appreciate prizes 😉 I propably won&#39;t participate as I have a project going now but I&#39;ll enjoy following along and learning new skills. Plus I like pretty fabric and block pics! Can&#39;t wait! I&#39;m hoping to follow along and plan to use Kona solids. At some point, could you provide more detail on fabric requirements for those of us who might be putting together our own bundles? Total yardage, how many different shades, light/dark suggestions?<br /><br />Many thanks! I love your blog. It has quickly become one of my favorites to visit regularly. I used your tutorials to help finish my first quilt. I love the idea of this virtual quilting bee and can&#39;t wait to see what you have for us. Thank you! You doing all this work to help me be a better quilter is prize enough for me! Thank you!!!!! Thank you Amy. I am looking forward to this virtual quilting bee and may just make both styles. I&#39;m all about content and learning new things. I am super excited about this quilting bee Amy. I loved YOUR version of the Bloggers BOM and never got a chance to play along. I always love what you make… so I know it will give me another reason to love Friday&#39;s (or every other one)! Chiming in late, but…<br /><br />I will definitely be doing this! I just started quilting, this past Christmas. I&#39;m really excited! <br /><br />One thing I would *love* for you to address, along the lines of fabric choices, is: could you explain the difference between the designer fabrics that you can only get online and in quilt shops, and the quilt fabrics that you get at Jo-ann&#39;s.
I&#39;m chiming in even later but this is just so exciting I can&#39;t tell you. This one I shall definitely keep up with. Can&#39;t wait. Thank you all so much. Dear Amy, thanks for the quilting bee, I definitely would like to participate. As I live in Europe, getting fabric supply is an issue, so I would appreciate your calculation about the fabric needs. That would help a lot, to be prepared for the bee. Any special rate for the fabric at RK? Many thanks! This sounds great. I will be joining in. A Flikr group would be a great idea also. don&#39;t need prizes etc, i am excited to learn and see all the wonderful quilts produced. i SEW QAL with prize at the end and a %% discount for fabric.. I love your inspiration and the way you talk to your blogger buddies, If I can Help, or cheer let me know I have about 100 new followers to cheer on………. I&#39;m a new quilter and I love this idea! I love that the blocks come faster than BOM&#39;s and I can learn new tricks and tips. I don&#39;t need prizes but a Flikr group would be awesome to see all the cool designs! I&#39;m a new blogger and just found your sites. I&#39;m very new to all this social media and have a lot to catch up. My blog is shadowlanequiltsandcrafts.blogspot.com. I don&#39;t know how to connect mine with yours.<br /> Let me know if you&#39;re having a new BOM project. This quilt is beautiful. I found this after drifting over from The Splendid Sampler. I can’t wait to get started on another Virtual Bee! Wonderful! !